On October 24, 2012 the Levy County Sheriff's Office Criminal Investigation Detectives arrested Ronald Jack Davis, Edward Lee Garcia and Di'Amonta Antwain Robinson for two counts of burglary and grand theft. On October 17, 2012 deputies responded to two Williston homes in reference to residential burglaries. The victim's stated that unknown person(s) forcibly entered their residence and stole a washing machine, dryer and vacuum cleaner. Sgt Mike Narayan and Detective Roger Bell had no leads but feared that the suspects may return to the crime scene to steal other items inside the residence. The suspects carried the stolen items and threw the stolen property over the victim's fence on October 20, 2012. Through old fashion police work the trio were identified. The suspects were living in Alachua County. With the assistance of the Alachua County Sheriff's Office Detectives the men were located and arrested for burglary and grand theft. Detective Roger Bell stated "Additional charges are expected in Levy County". On October 24, 2012 members of the Drug Task Force arrested Leroy Brown Jr. and John Edward Blair during a buy bust operation. Both men were charged with numerous felony charges. Sergeant Jay Bolton with Chiefland Police Department and a member of the Drug Task Force Unit had a confidential source make a control phone call to Leroy Brown for the purpose of buying narcotics. The suspects live in Archer and agreed to sell an ounce of powder cocaine and a shotgun to the source for $1,350 dollars. Brown and Blair agreed to meet at the entrance of Blue Springs Park to conduct the drug deal. Upon the men arriving they informed the confidential source they did not have an ounce of cocaine or the shotgun,, but they did have two eight balls which is commonly known as a ¼ of an ounce of powder cocaine. After the suspects and confidential source haggled about the price the confidential source purchased the eight balls of cocaine for $300.00. After the drug deal the suspects left in their brown Buick sedan and a felony traffic stop was conducted. The suspects were overwhelmed with Drug Agents, Patrol deputies and a K-9 team and they surrender without incident. During the arrest it was discovered that Blair had over 43 grams of marijuana in his pants pocket which led to additional charges. An inventory of the vehicle yielded over 4 grams of crack cocaine and 12 grams of marijuana. On October 24, 2012 Rodney Charles Kirkland also known as "Stump" was arrested at 517 Main Street Bronson, Fl. Kirkland is accused and had warrants from Dixie County for three counts of armed burglary and grand theft. 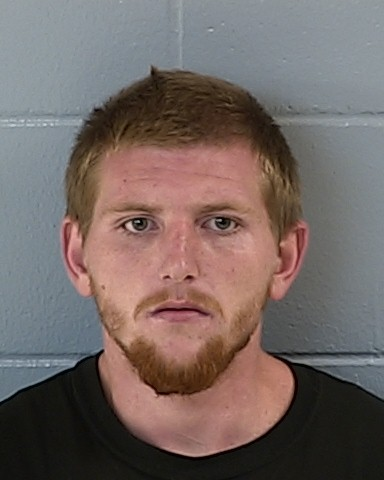 The Levy County Sheriff's Office Drug Task Force received information that Kirkland was in Levy County selling narcotics. 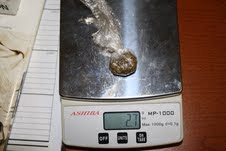 Yesterday members of the Drug Task Force located and arrested Kirkland at a residence in Bronson. 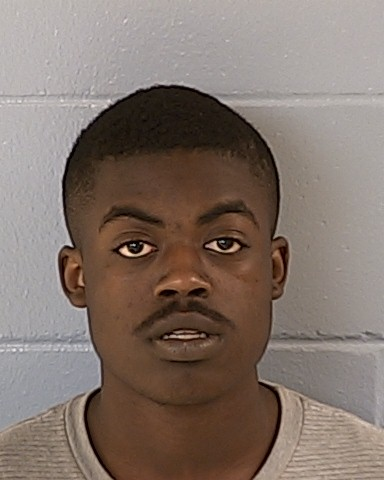 Kirkland was inside a residence and after the house was surrounded he decided to peacefully surrender to authorities. 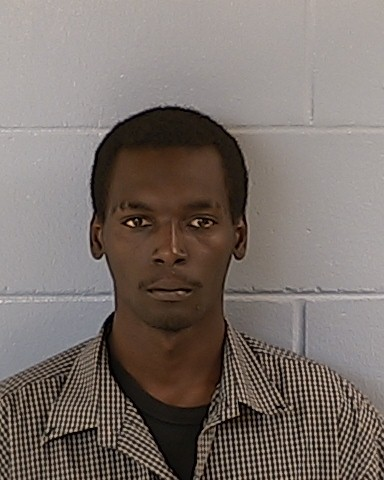 Kirkland was arrested and transported to the Levy County Jail with no bond. On October 18, 2012, the Levy County Sheriff's Office and the US Marshals Service Florida Regional Fugitive Task Force arrested Julian Christopher Howard and Arnett Clarence Bryant Jr. in Raleigh, Fl. 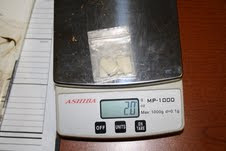 The Levy County Sheriff's Office Drug Task Force began the investigation in February 2012. Howard is considered to be a mid level drug dealer in the Raleigh area. Howard is known to sale crack cocaine, powder cocaine and marijuana. The first phase of the investigation was concluded but other arrest is expected. On September 27, 2012, a warrant was signed for Howard and charges included sale of crack cocaine, possession of crack cocaine and unlawful use of a two-way communication device. Howard went on the run but his luck ran out last night. Members of the Drug Task Force and the Florida Regional Fugitive Task Force did a surveillance at 8384 NE 190 Ave and walked miles in order to arrest a violent fugitive. Howard was located at the residence and he was doing what he does best, which is selling narcotics. Members of the Task Force were only a few feet away when the men were making drug deals and had no idea that there freedom was coming to an end. The Task Force members reverted to they're training when dealing with felony offenders and ordered the men out of the vehicle at gunpoint. The suspects complied and the arrest went without incident. Major Evan Sullivan stated "The arrest was successful due to the element of surprise, great strategic planning and the willingness of the members to go the extra mile". "Two drug dealers have been removed from the streets". Howard was arrested on the Levy County Fugitive warrant and was also charged with additional charges. When Howard was sitting in the vehicle he had in his lap 5.6 grams of crack cocaine and 6/10 of a gram of powder cocaine. Bryant had 2 grams of crack cocaine and 2.7 grams of marijuana in his lap. Howard and Bryant are convicted felons and they are no strangers to law enforcement. Howard has extensive criminal history as a juvenile and an adult. Howard has been arrested for cocaine, battery on a police officer, robbery, weapons charges and homicide. Bryant has been convicted for domestic battery, child neglect, resisting arrest and has been arrested nineteen (19) times for felony charges and nine (9) misdemeanor charges. The Levy County Drug Task Force agents have submitted and arrested ninety-two wanted fugitives to the US Marshals Florida Regional Fugitive Task Force this year. Major Sullivan explained that once a Levy County case has been adopted by the US Marshals Service the federal Task Force will pay the overtime accrued by Levy County deputies. Major Sullivan stated, "In economic lean times this Task Force has been a God Send". "It has saved Levy County taxpayers thousands of dollars in overtime". Need a concealed weapons permit? You are encouraged to bring your own weapon, 20-25 rounds of factory loaded ammunition, eye and ear protection. If you do not own a pistol, please bring 20 rounds of .38 caliber ammunition and a pistol will be supplied.